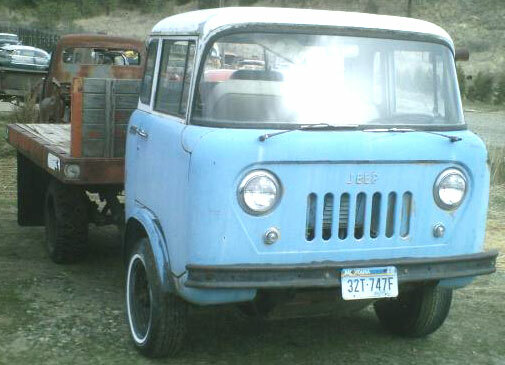 This blue and white 1962 Willys Jeep FC-170 heavy-duty one ton 4X4 flat bed truck is an all-original Montana hay truck with 25,000 miles. The motor runs great and the truck drives. The brakes pump up but need to be serviced. The body and chassis are very straight and solid. The windshield is good. The driver and rear flat glass are broken. There is some typical rust in both lower rear body corners. 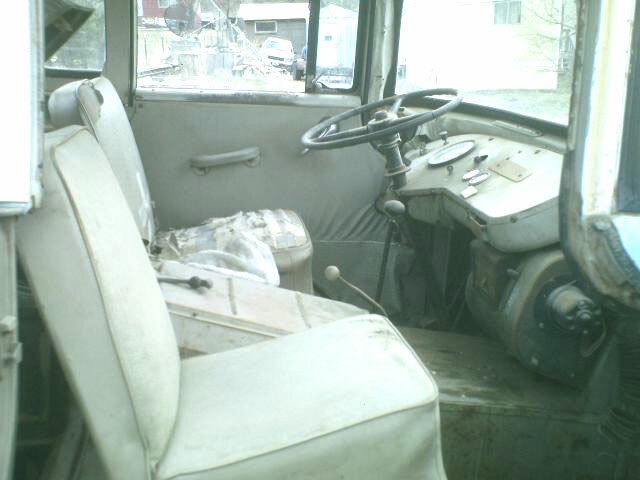 The bed and headboard have been removed and we have a fairly-good original box that comes with the vehicle. The interior is all there and the floors are solid. 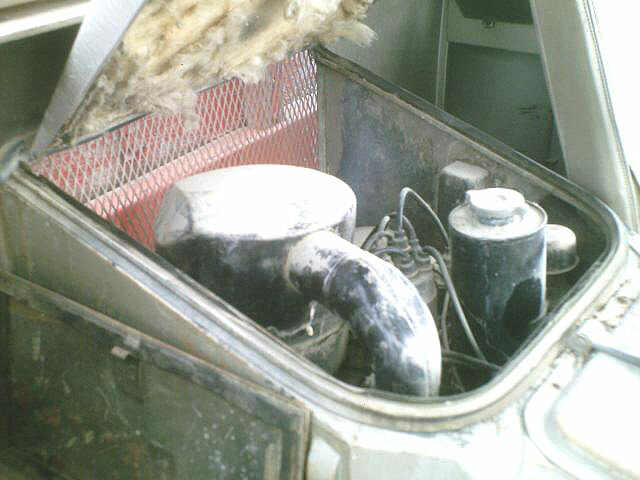 The 226 CID straight six motor and 3 speed manual transmission are all there. 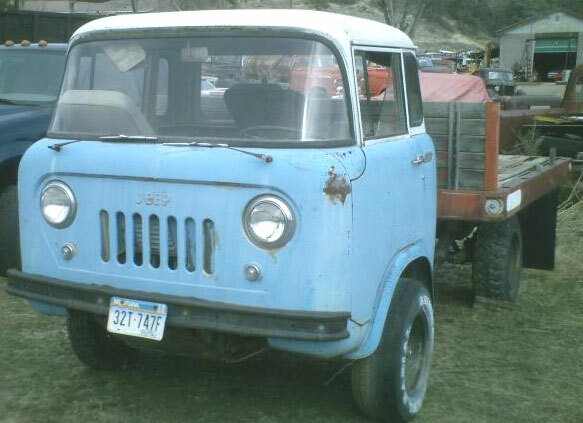 Here is a rare opportunity to own and drive a very low miles, all-original forward control Jeep. Now located in Wisconsin. Please call (406) 318-0270 for details.